Storm gutters are an essential part of everyday living here in Minnesota. When your gutters are damaged or just aren’t functioning properly, it can cause a large mess of problems. At Minnesota Leafless Gutters, we want you to feel confident that your gutters are performing the exact way that they are made to work. If you are looking to have your storm gutters replaced, our professional gutter installation team has got you covered. At Minnesota Leafless Gutters, we have seen it all. We have been to homes and businesses where gutters just weren’t doing their job. Unfortunately, we’ve seen quite a bit of damage to foundation and housing when those gutters just weren’t doing their job. When gutters are either not properly installed or perhaps not of a certain quality, your home definitely suffers. For homeowners, it can be extremely difficult to know or understand the importance of gutters. Gutters are an element of the home that can be foreseen as “out of sight, out of mind.” While this can be true, the reality is that your gutters do an abundance for your home. Gutter systems keep water flowing away from the structure of your home, preventing water and moisture damage. We feel like it is our duty to provide you with gutters that will last through our Minnesota storms. We want our customers to have peace of mind when their storm gutter replacement happens. When you feel like your existing gutters just aren’t doing their job, the first thing you need to do is call us here at Minnesota Leafless Gutters. We are a no pressure, no obligation company that wants to do what is best for you and your home. For this reason, we will provide you with a free gutter inspection and consultation. 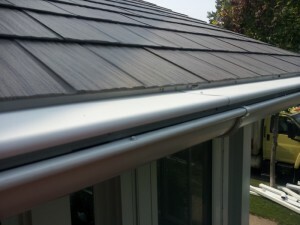 We will let you know what we see with your existing gutters and make recommendations going forward. Our storm gutter replacements are all customized to meet your needs both financially and physically. 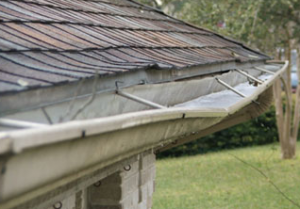 We want your gutters to do their job without breaking the bank. Our experienced and careful professionals will then install your storm gutter replacements using the highest quality of industry standards and will properly install them so they can function at full capacity. If you are looking for storm gutter replacement, look no further than your quality professionals here at Minnesota Leafless Gutters. For more information or to get a free inspection and consultation from us, give us a call today at 612-221-0362.